The original Blarney Stone Bar was located on Lexington Ave. (around 1938). 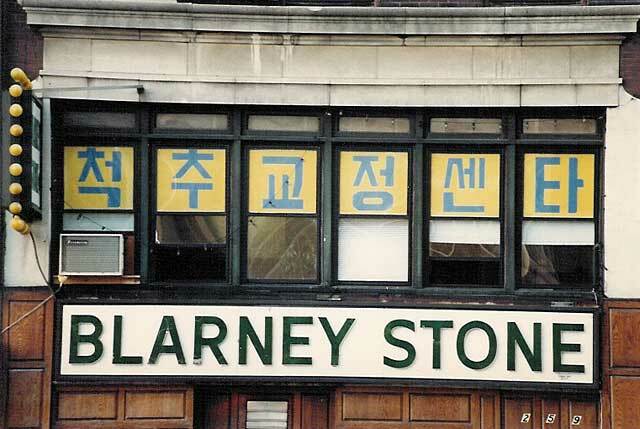 They grew into a chain, and the Blarney Stone on W. 34th St. thrived for some forty years between 1960/61 until early this century (around 2001/02). I'm not sure what the Korean says. Presumably, there is no connection with the bar downstairs.